I have been reading reviews about this wondrous San Francisco based brand that believes makeup and skin care products should be wholesome and cute. Cute is an understatement, as the packaging is to die for cute. theBalm.com was the brain child of Marissa Shipman, in 2004 she created a plan and launched her fabulous brand of cosmetics and skin care products. 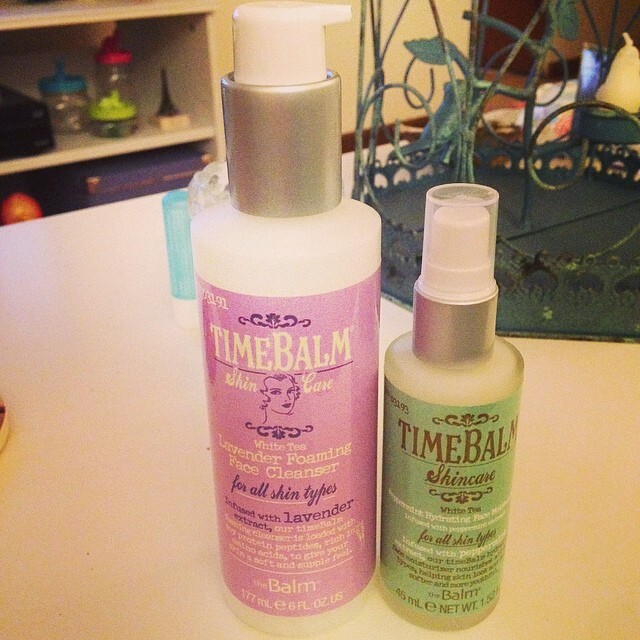 theBalm offers quick solutions and great products at a fabulous price point. Many women have drawers of makeup, serums, lotions an potions, but really how many of those do you actually use? Probably not as many as you think you do. Marissa knew that she only needed a few staple items and she had no doubt that we needed the same staples in our makeup drawer. Her cleverly named and fabulously packaged products are the staple of her brand. A brand that you will fall in love with, just like I have. A few weeks ago theBalm.com had a flash 50% off sale and I knew that I had to get on that train. The sale was to last for only 2 hours and the goal was to crash the new server. We completely succeeded and it crashed, but not for long with a little persistence I was able to get my order through. I should mention that I received a theBalm sample in my April BirchBox, which prompted me to buy the full-sized product. Thou I didn’t purchase How Bout’ Them Apples directly from theBalm.com I am going to included it in this review. “Hey! What did you order from theBalm.com?” Oh, I am so glad you asked, let’s find out! How Bout’ Them Apples – Lip and Cheek Pallet (ordered from birchbox.com): is a multi-functioning lip and cheek cream palette. ———————-> I hands down love this pallet, the colors are perfect. Not to mention the packaging is too stinking cute for its own good. I love the fact that the color lasts a really long time, bonus it leaves my lips feeling soft. No one likes dried lips, but every one loves a good apple. This cute little pallet will set you back $32.00. Which is a steal because you are getting six amazing duel used colors in one handy-dandy pallet. White Tea Lavender Foaming Face Cleanser – for all skin types: is soothing and non-drying. Soy Proteins nourish by providing depleted skin with a rich source of Amino Acids and Peptides. Paraben-free, Synthetic Dye-free, Phthalate-free, Cruelty-free & Made in the USA. ——————–> I received my order on Saturday and I have been using the cleanser since I ripped the package open. I love the calming scent of lavender and that this cleanser leaves nothing behind. As in nothing, no makeup, no dirt, no oil, just good clean skin. This really great cleanser will set you back $19.50. I am truly in love with it, who knew a human could be in love with a cleanser. I sure didn’t. Peppermint Hydrating Face Moisturizer – For Normal to Dry Skin: feels cool and revitalizing as it works to retain skin’s natural moisture. Lightweight botanical extracts add needed hydration and nourishment to dry areas. Paraben-free, Synthetic Dye-free, Phthalate-free, Cruelty-free & Made in the USA. ———————-> Where has this moisturizer been all my life? My skin after four uses has never been this soft. I love that the moisturizer is light and not gloopy, it soaks in quickly and leaves behind soft refreshed skin. I am now a convert and will never go back to my old Serious Skin Care moisturizer. If you want to become a convert this amazing moisturizer will set you back $18.00 Come on you know you want to convert, take the plunge and spend the 18 big ones on one amazing moisturizer. What can I say, I am wowed by theBalm.com and I am now a life long customer. 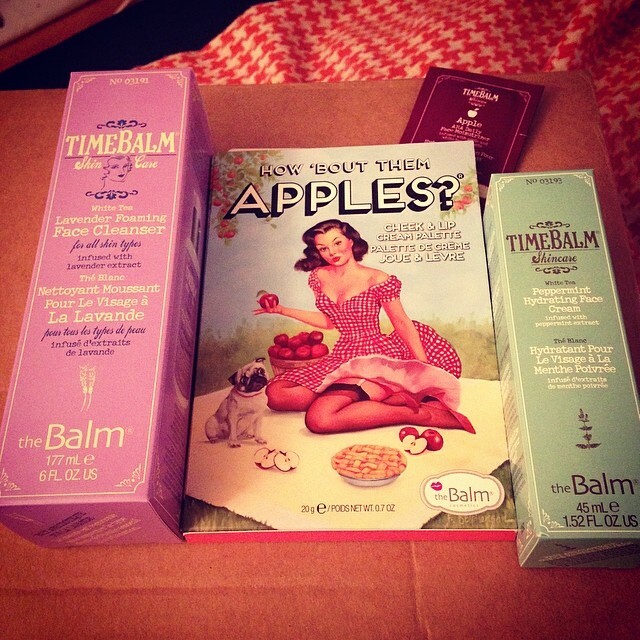 If you want to have a few fabulous cosmetics and skin care products in your draw give thebalm.com a try. You will be glad that you did.